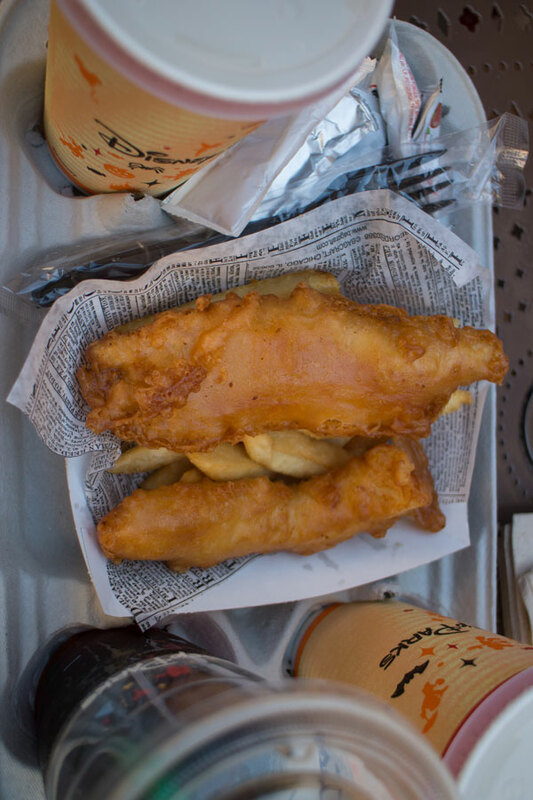 Can't miss fish and chips at Epcot's UK Pavilion. Across from jolly old England’s tea shop sits Yorkshire County Fish Shop. This counter service locale is very popular for a reason: the fish and chips are positively wonderful! This stand features a simple menu of Fish and Chips, sponge cake, and drinks. Yorkshire County Fish Shop doesn’t need to add to the menu, since they serve up one of the best quick service meals in Disney World. 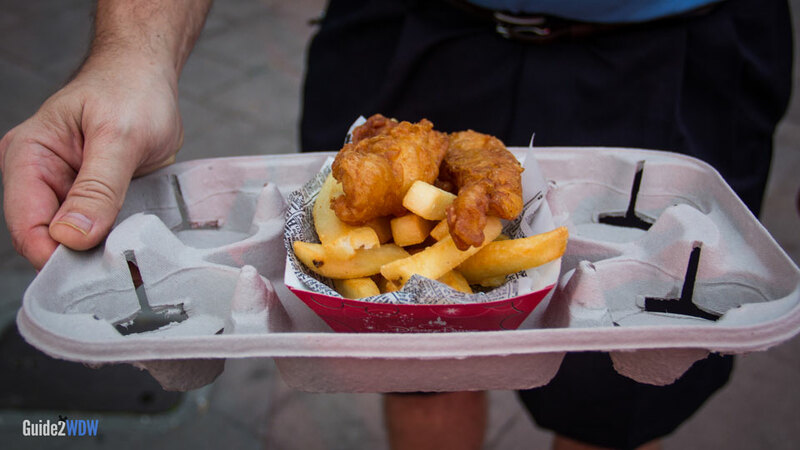 For us, a trip to WDW is not complete without a serving of the crispy and juicy Fish and Chips. We at Guide2WDW highly recommend Yorkshire County Fish Shop. Tip: Don’t forget to try the malt vinegar that is provided for the delicious fried fish. Tip: Seating is very limited around this counter service restaurant. While you’re waiting in line, send a member of your party to seek out a table either to the right of the Yorkshire stand or to the left of the Rose and Crown. There’s also a picturesque seating area near the gazebo where British Revolution performs that isn’t too crowded if there isn’t a show going on at the time. Note: Menus for Disney World restaurants change on a somewhat regular basis, so the menu listed above is subject to change. For the most up to date menu, check out Disney’s official Yorkshire County Fish Shop menu.